This is Xperia M Nougat ROM flashing guide. Since the Android Nougat Source code release, till now we have many Android Nougat ROMs available for various devices. And now this time the Nougat ROM (build number: NRD90M) has arrived to Sony Xperia M (codename: nicki) which is brought to you by developer PecanCM. 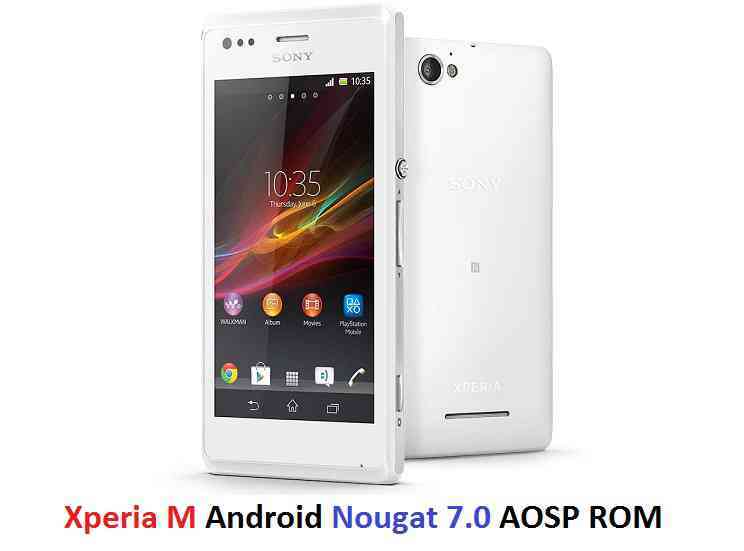 Xperia M Users must be thankful to the developers for their priceless efforts and lightning fast development. Installing a custom ROM on a the Xperia M requires the bootloader to be unlocked, which may VOID your warranty and may delete all your data. Before proceeding further you may consider backup all data on the phone. You are the only person doing changes to your phone and I cannot be held responsible for the mistakes done by you. Unlocked bootloader and a custom recovery on the Xperia M.
Your Xperia M must be on 4.3 baseband before flashing Nougat ROM on Xperia M. If your device is on either 4.1 or 4.2 then follow this guide to upgrade it to 4.3 baseband. Download the Xperia M Nougat ROM zip file and a suitable Nougat Gapps zip file from the above download link and copy both the files to phone. First flash the Xperia M Nougat ROM ZIP from device. Reboot the phone when the flashing is done. You may observe many Force Closes while setting up the first boot but just SKIP all them. Also if Google Play Services is crashing, grant it the location permission in the settings. According to the developer this ROM is working fine even if you won’t wipe data while flashing this ROM. The development thread for this Xperia M Nougat ROM.